Tenant in place until May 2019. 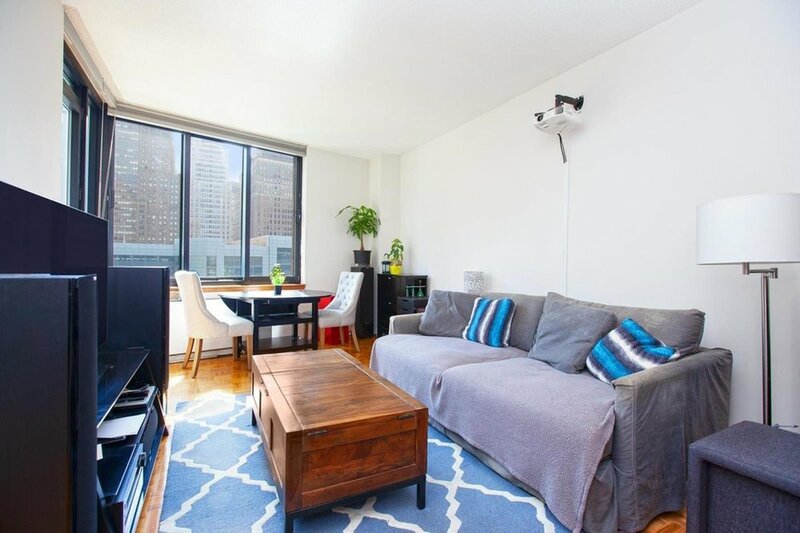 Sun-filled one bedroom apartment (converted from original alcove studio) in Liberty View Condo. Oversized windows looking onto the city skyline, a large galley kitchen with pass-thru to the living room, marble bath, 9-foot ceilings and balcony with open city views complete this home. Floor to ceiling California Closets with abundant storage will make sure you stay organized. The building is located just 1,5 short blocks to the Hudson River promenade. Enjoy the amazing views to the Statue of Liberty, New Jersey, and Hudson River Harbor. Take advantage of what the Battery Park City neighborhood has to offer whether it's shopping, eating, jogging or walking along the Hudson River Promenade. There is something for everyone! Perfectly situated and a few blocks from the 1/R/4/5/2/3/J/Z trains. The building is Pet Friendly on a case by case basis.